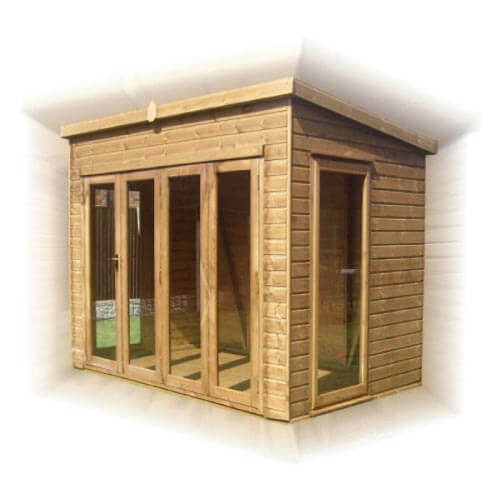 For a summerhouse with a great view of your garden, this pent with folding doors is perfect. With wide front doors and fixed full height side windows, you can enjoy the view in comfort and relax. With bi-folding doors on the 5ft x 8ft model and tri-folding doors on the 10ft x 16ft models, you can enjoy the summer time or sit inside and enjoy the colder months in comfort. For more information about this model and the optional extras or any other model, feel free to ge in touch with us here at GSG Buildings today.